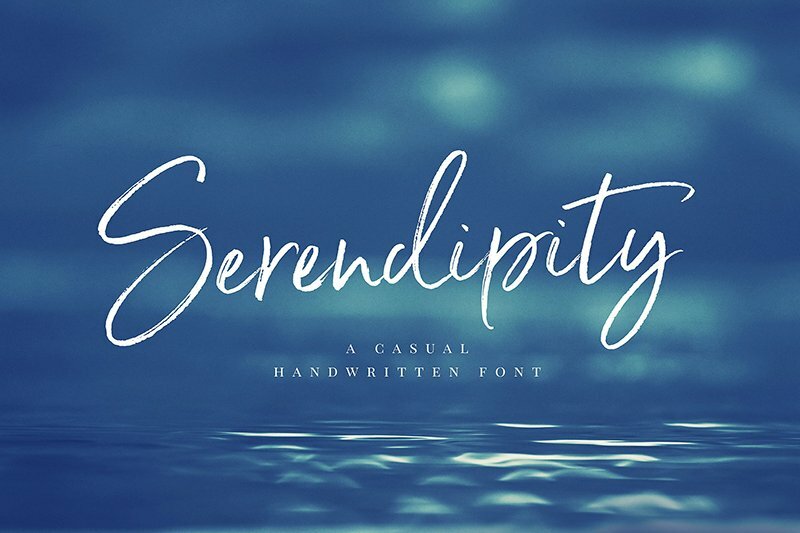 Say hello to Serendipity 🙂 An elegant cousin of Saturday Script, lovingly handwritten, with 3 sets of alternate letters to add versatility and authenticity to your designs. For designers who do have opentype capable software, the handy all-on-one opentype fonts are included:) The alternates are accessible by turning on ‘Stylistic Alternates’ and ‘Ligatures’ buttons on in Photoshop’s Character panel, or via any software with a glyphs panel, e.g. Adobe Illustrator, Photoshop CC, Inkscape.